Will my Virginia reckless driving ticket be dismissed with driving school? 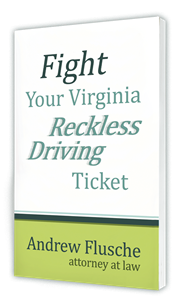 One of the most common questions that I answer, it seems like every day, is whether or not a Virginia reckless driving ticket can be dismissed with driving school. The problem with answering that question is, it depends a lot based on the local judge, the prosecutor, the facts of the case, the defendant’s driving record and lots of other factors. It’s one of those questions that is extremely hard, and I would say impossible to answer in the abstract, and unfortunately I can’t provide an answer in a short space like this. The best I can tell you on the website is: some Virginia reckless driving tickets can be dismissed with you attending a driver improvement class, but again, that depends upon a lot of little factors that are unique to each and every case. When you call for a free consultation, we can come to a more precise conclusion about your case. This is one reason why it’s extremely important to talk with a local attorney who is very familiar with the local judge and the officers and with the prosecutors (if they’re going to be involved in your case). And you also want to talk with an attorney who will give your case the attention that it deserves because every case is unique. Even though there can be some guidelines that attorneys know over the years about how similar cases may turn out, every single case is different because every person is different, and therefore, you deserve unique attention from the attorney who’s handling your case. One problem that I see in some firms that do lots of traffic work is they have several attorneys and a lot of staffers, and you may not be able to deal with the attorney who is going to handle your case in court. I think that’s just outrageous! If you call my office, you will get to talk to me. I may not be available the minute you first call, but we will talk about your case before you decide whether or not you want to hire me, and I will tell you what I think we can make happen in your case. You will, at the very least, get my analysis based on my experience and my years of doing this in hundreds of cases that I’ve handled. I think a paralegal or assistant telling you that information is the unauthorized practice of law. I think that’s illegal for attorneys to have a paralegal or other non-lawyer have that discussion with you. 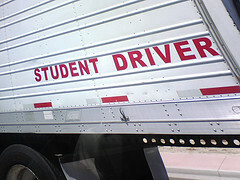 Not only is that doing you a disservice, but I think it’s illegal; therefore, I do that myself. If you call me, there’s no other lawyer that would be handling the matter. I would never pass your file off to anyone else, and the buck stops with me. If you’re not happy, then I’m the one who’s responsible. But I’m confident you WILL be happy with my work and you’ll want to tell all your friends and family!